That it is nowhere safe where they land should not be a new fact for the Rogue Traders. In the most remote corners of the Imperium, they search for colonizable worlds that have not yet been contaminated. This time, however, the Starstriders around Eludia Vhane are expecting an especially sinister ambush in the narrowness of the Shuttle Truehawk, with an even more sinister enemy - the repulsive mutants of the Gellerpox Infected. So that you can lead the battles between Elucia Vhane and Vulgrar Thrice-Cursed with their teams everywhere, we have taken care of the suitable transportation. 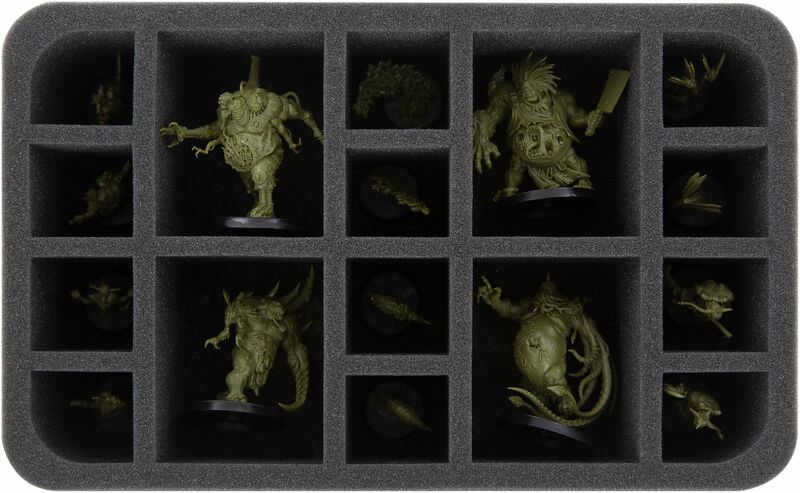 With our MEDIUM bag including the suitable foam trays, all Kill Team models, plastic scenery and the other game materials are safely stored and easy to carry. 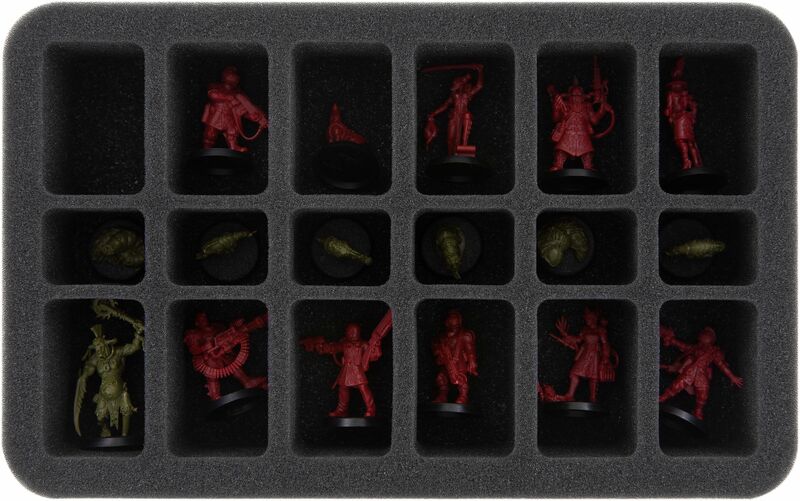 Two foam trays offer the right compartment for each of the 23 miniatures from the Kill Team expansion 'Rogue Trader', in which they are clearly and securely stored. 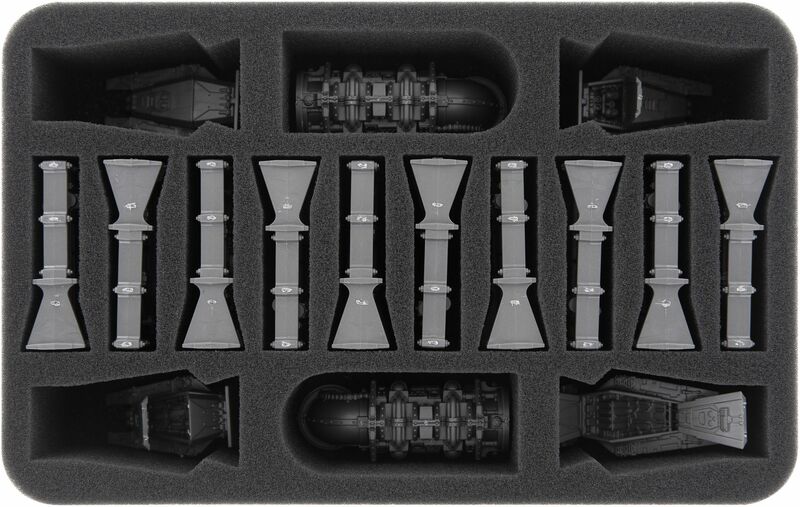 The precisely fitting compartments ensure that the models do not slip around or collide during transport. This not only protects the sensitive parts of the miniatures from damage. It also prevents the colors of painted figures from rubbing or flaking off after hours of fine work with brush and acrylic paint. Thereby the Death Cult power blade from Knosso Prond is just as safe as the fleshripper claws from Vulgrar Thrice-Cursed. 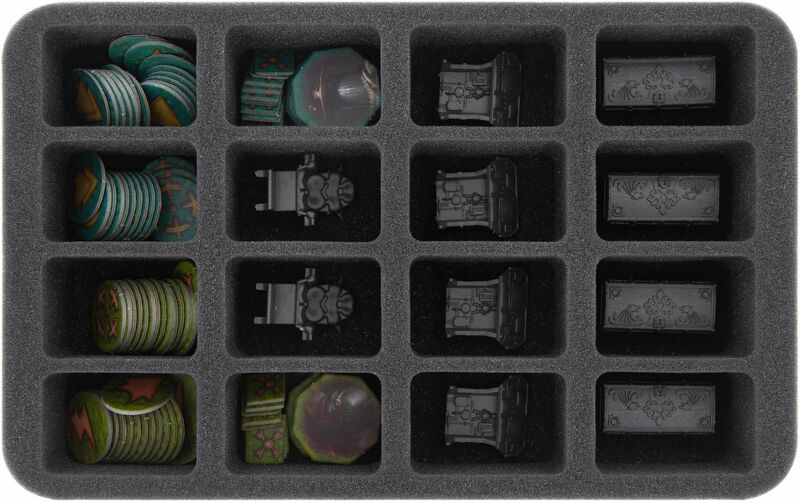 A third foam mat with tailor-made compartments takes care of the plastic scenery for the Truehawk. In the center of the mat, the 10 bulkhead doors are lined up in individual compartments. The two sections of pipework get, just like the 4 escape pods, also their own compartments. The remaining pieces, i.e. the 4 chests featuring the crest of Elucia Vhane, the two chairs and the 4 command consoles, each get their own compartment on the fourth tray. Here you can also neatly store the tokens. Nothing gets lost and the quick and easy overview saves you and your fellow player time when setting up the game. Time much better spend in the Kill Zone. Finally, a foam topper ensures that the miniatures are packed all around and ready for transport. The gameboard can be placed on the topper. 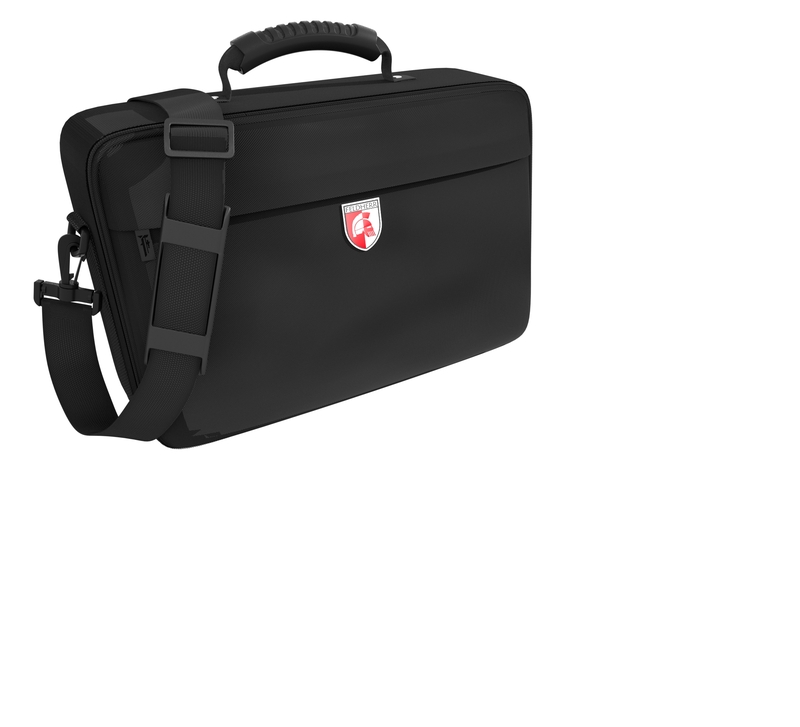 In addition to the large main compartment, the bag has a small zipped pocket at the front. 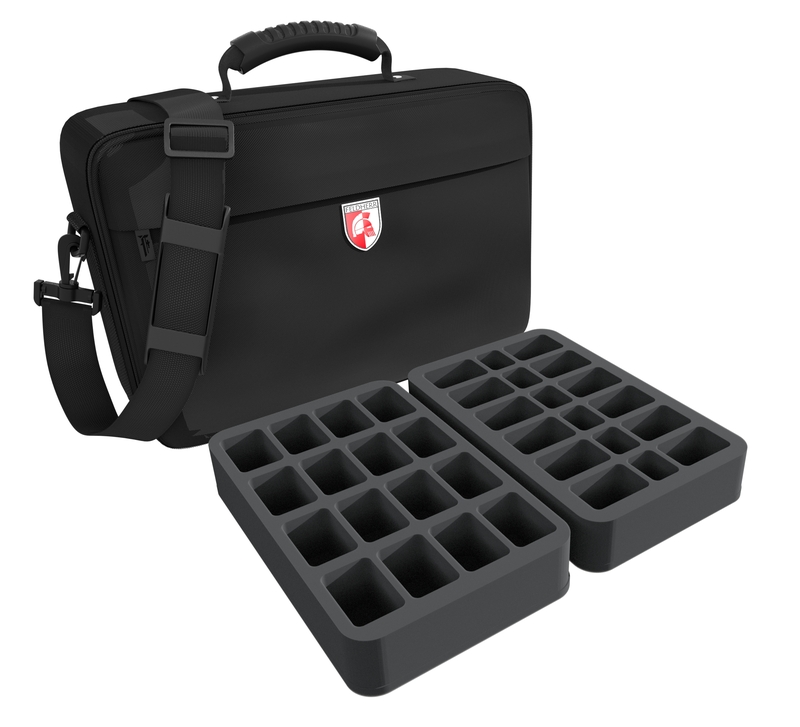 Here you can store the data and tactic cards, the kill team book and the two codexes. 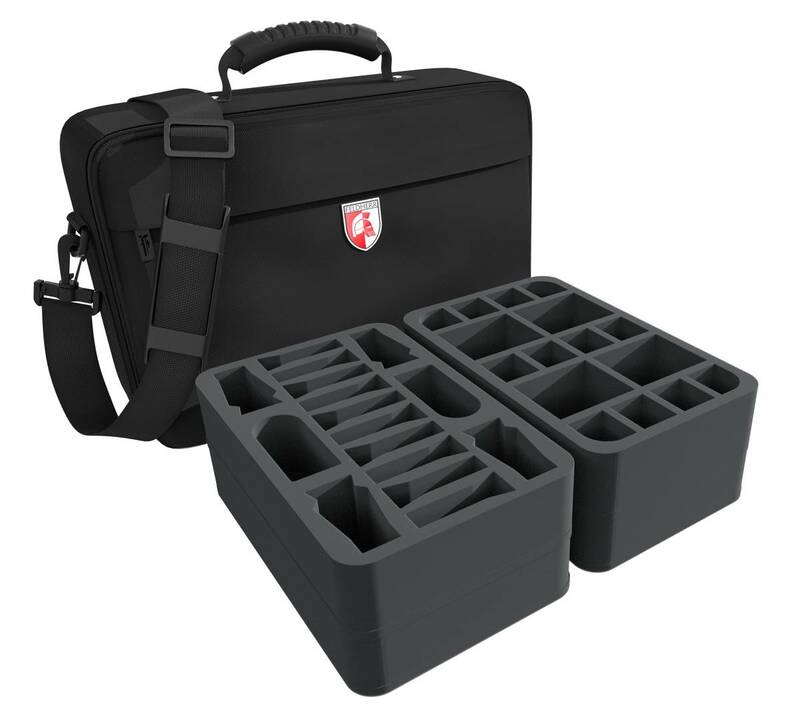 Thus everything is well packed and you are ready for the next skirmish - anytime and anywhere.